Vygis Kit LG it's pack of GSM softwares protected by hardware USB key. By using this tool you can repair without any problems any phones supported by this tool so LG, BenQ, Mitusbishi or Toshiba, Maxon. OF course repairing of such problems like "SOS call only","Charging impossible" in Alcatel phones or "No SIM" in LG phones are not only function of this great tool. You can easily use it for upgrade/dowgrade software, simlock remove, change language pack, repair LCD, calculate CRC in EEPROM, etc. This product it's 1st choice of P-GSM group for servicing above phones. 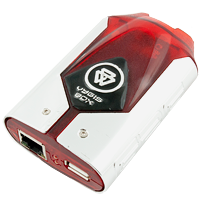 Vygis Kit 11in1 it's pack of GSM softwares protected by hardware LPT key. By using this tool you can repair without any problems any phones supported by this tool so Alcatel, LG, BenQ, Mitusbishi or Toshiba. OF course repairing of such problems like "SOS call only","Charging impossible" in Alcatel phones or "No SIM" in LG phones are not only function of this great tool. You can easily use it for upgrade/dowgrade software, simlock remove, change language pack, repair LCD, calculate CRC in EEPROM, etc. This product it's 1st choice of P-GSM group for servicing above phones.